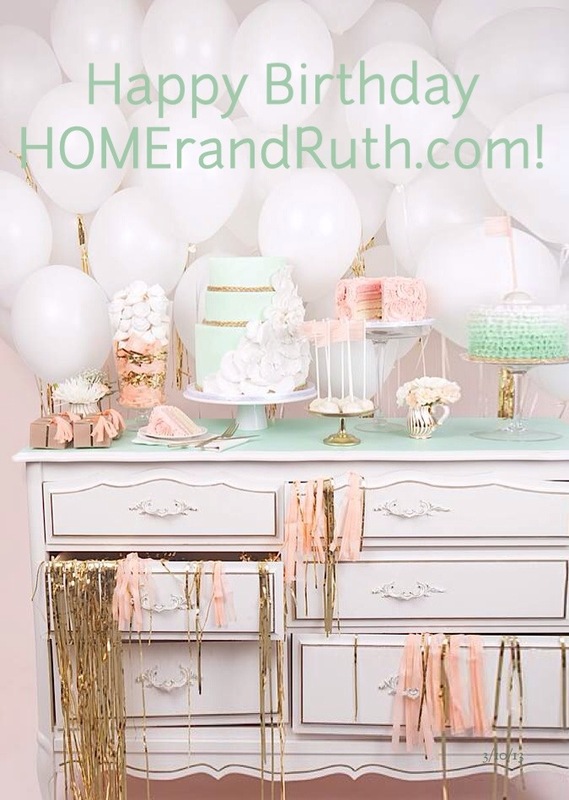 HOMErandRuth Turns 1 Year Old! I can’t believe it’s been a year! Time flies when you’re having fun… and when you’re so busy that you can hardly catch your breath. I’d say this year has been a combination of the two. That said, I’m so excited about our 1 year birthday, and thought I’d commemorate the occasion with my top 10 highlights of the year (in no particular order, of course). Clearly I have an obsession with gold. When done well, it is one of the most rich and classic looks around. 3. How to Accessorize Your Bedside Table – We all know that accessorizing is the key to a well-designed room. When it comes to a bedside table, it should be both beautiful and functional, and I’ve laid out all the must-haves. 4. That’s Toile Folks – In addition to amusing myself with this clever title :), I really enjoyed finding ways to incorporate this age-old pattern into modern spaces. One of my earliest posts, in it I chronicle the elegance of this most timeless ‘color’ combo. 6. Hello Handsome – In a departure from my typically feminine design aesthetic, I decide to show some love to the guys. This design board contains all the elements needed to create a ‘Dapper Man Cave’. Dreaming of living the life of luxury, or at least creating a space that feels like it? Tufted furniture is an absolute must! From headboards to foot-rests, I highlight some key pieces to incorporate into your space. 8. Trend Alert: Southwest Style – In another one of my earlier posts, I spot the Southwest design trend… and trust me it’s one that’s not going away anytime soon. This design board gives you the tools to transport the Southwest directly into your home. 9. 5 Chic DIY Dresser Makeovers – I love the idea of DIY projects… and wish I had the time to do more of them. From chevron to ombre, these dressers are great examples of DIY done right! Truly one of my favorite additions to the site, ‘Here & Now’ is a series where I share anything and everything that inspires me, excites me, or is generally on my mind. I hope you’re enjoying it because I plan to keep it going. Well, there you have it – my top 10 of year 1. I’m proud of what’s been done this year and looking at making year 2 even better. Congrats on your 1 year anniversary! 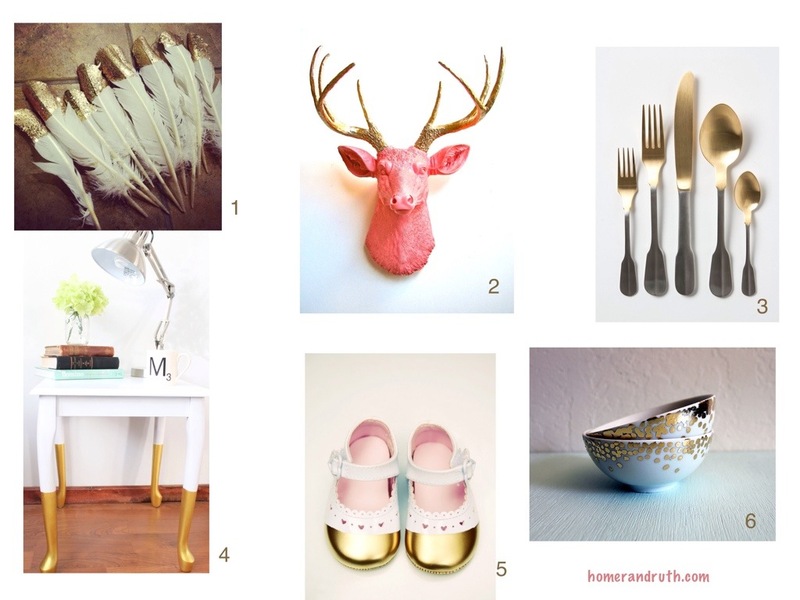 I really do enjoy reading your blog and getting some great home and lifestyle inspiration!